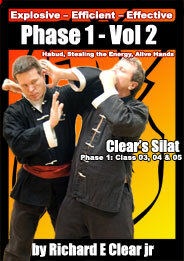 As I stated in the last post, in a typical Clear’s Silat Phase I Hubud class we normally show about 30 technique applications for the drill. The first technique in Hubud is usually Brush Hair. One of the basic applications that we teach directly from the Hubud drill is one that we in Silat call Brush Hair. Brush Hair is performed by raising your arm up over your head as if stroking your hair with your hand starting from the front of your forehead and ending up on the back of your neck. This technique is an excellent brushing / sliding way to cause the opponents incoming punch to get diminished as it passes by your head instead of actually making contact with you. One of our students recently saved his life with this technique as he used it to ward off what he thought was a punch but was actually someone trying to cut his throat. Brush hair is also an excellent way to get right in the opponents face. As you slide under their punch and it misses its intended target (your head) you will either be on the inside with your elbow or your arm right in their face or you will be standing on the outside of them. If you are standing on the outside position it means that as you turn towards them and bring your brush hair arm down you should be able to gain immediate access to anywhere on their back that you would like. 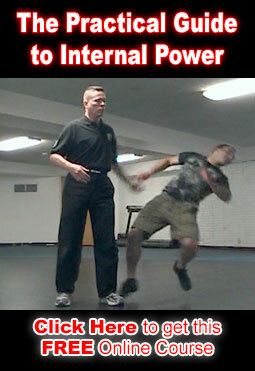 If you are on the inside position you either let your elbow smash right into their face and they are usually surprised because they are walking right into it but they do not see it until the last second if at all. We also use Brush Hair to cover our head so that we do not take a strong hook or haymaker directly to the head. You basically throw your arm up and turn a little so that the punch hits the boney part of your arm. Part of the technique is to ideally cause the puncher to inadvertently hit this boney part of your arm and hurt themselves so that their original punching arm / hand is out of the fight and they are now busy with their injury.